Gatchina, beautiful and enigmatic suburb of St. Petersburg, was the favorite residence of Emperors Paul I and Alexander III. It is also considered the birthplace of the Russian military air force, and it is here that the Maltese Order met. 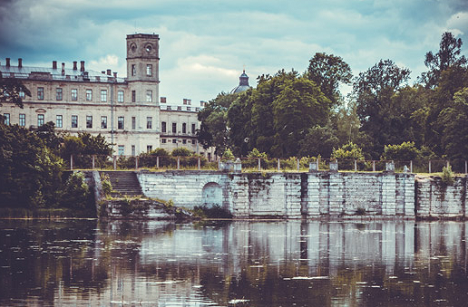 Gatchina’s history dates back to the start of the eighteenth century, when Tsar Peter I decreed the construction of an estate that he gifted to his favorite sister, Natalia Alekseevna. After the death of the Tsar, the estate was repeatedly passed from one owner to another until it was acquired by Empress Catherine II - she complained about the estate to her favorite count Grigory Orlov, who then commenced active construction at Gatchina. After the death of Count Orlov, Gatchina became the residence of Paul I, who lived there for 18 years and granted Gatchina city status and its own coat of arms. Later the city came under the ownership of Maria Feodorovna, then Nicholas I, Alexander I, Alexander II and Nicholas II. By electric train from St. Petersburg (Baltic Station) to Gatchina-Baltiyskaya station or Gatchina-Varshavskaya (just over an hour’s journey) or on marshrutka no. 18 or no. 100 from Moskovskaya metro station (40 minutes). Gatchina is known for its palace and park. The royal palace is like a secluded castle, rising over the peaceful waters. One of the oldest buildings of the park, established under the first owner of Gatchina, Grigory Orlov, is the Eagle Pavilion, allegedly sponsored by V. Brenna. The pavilion is a circular temple - the rotunda is 9.5 meters tall. It features a semicircular colonnade of ten Tuscan columns with a semi-dome roof decorated with coffers and seashells. Its stairs consist of three steps leading to a stylobate made of pure ashlar stone. The colonnade is crowned with an eagle, carved out of white marble, holding a shield with Paul I’s monogram. One of the most romantic spots in the Palace Park is the Humped Bridge, which spans the Long Island across the channel that links the Silver and White lakes. The Humped Bridge consists of three main parts - two strong abutments and a steep arch span. The main building of the ensemble is the Palace of Paul (or Gatchina Palace). It was originally built by the architect Rinaldi for Catherine’s favorite, Count Orlov. Rinaldi designed a magnificent castle on the hill in front of Silver Lake. The three-story main building is decorated at the sides with high pentahedral towers, while two galleries withdraw to auxiliary wings their own closed courtyards - the Arsenal and Kitchen wings. A collection of Italian paintings, assembled by the estate’s owners, is located on the top floor of the palace. Later Gatchina was passed on to Paul I, who invited the architect Vincenzo Brenna to reconstruct the palace. The Menagerie occupies a large territory in the northern region of the Park and was intended for the court’s hunting. Part of the Menagerie is called Miracle Glade. It is now a specially protected nature territory, where rare plants grow. The main road of Gatchina is 25th of October Prospect, which begins immediately upon entrance of Gatchina, behind a circular square, which is followed by district buildings. A planned development district, Hohlovo Fields, stretched from this area to the Orlov groves. Until the October Revolution, ladies-in-waiting and other palace folk lived in this area. After World War II a sanatorium kindergarten was located here. There is also a cemetery of German soldiers and not far from the kindergarten were concentration camps, in which many Soviet prisoners of war were killed during the war. At the turn of the fifties and sixties construction began on a residential town for employees of the Leningrad Institute of Nuclear Physics. Later the streets of Hoholovo were taken over, the fragile houses with sheds were removed and brick houses were built in their place. Next go to Sobornaya Street, and if you walk towards the center, the majestic Cathedral of St. Paul, with its sky blue domes, will rise in front of you. A few years before World War II the congregation was dissolved and the church building was reconstructed under the Culture House with a cinema. During the war, church services were reinstated and were used to hide wounded officers of the Soviet army from the Germans. The Gatchina “Arbat” begins behind the church. Previously a market was located in this area, but now there are stores, cafes, and restaurants, as well as a small shopping center nearby. A “Cloth Factory” building is also located in front of the former market square. It has had that name since Paul I situated skilled seamstresses, who made Prussian-model uniforms out of red and green cloth for his soldiers. The grand, dark-red brick St. Basil’s Cathedral can be found to the right of the market. The cathedral was consecrated in 1914, and soon after World War I began. The cathedral was left at such and not plastered. During Soviet times the cathedral housed a warehouse and only resumed service at the end of the eighties. The Warsaw Station is also notable in Gatchina. In 2013 the 160th anniversary of the arrival of the first railroad in Gatchina was celebrated. The modern Warsaw Station is a post-war building built in the strict and sparse style in pale-yellow. Before the war, the building was adorned with colored bricks and consisted of a long hall with arched windows and doors; the covered platform adjoined the building via stalls. Another attraction of Gatchina, built at the very end of the eighteenth century under the orders of Paul I, is the Priory Palace and its landscaped park, built on a swamp on the shore of the Black Lake. The palace is surprising because, with the exception of its tall tower and socle, it is made of pure sifted earth, moistened with solution, and closely packed into form. This unique technique was used by the architect N.A. Lvov. The palace was intended to serve for only 20 years, but it has stood for three centuries, a feat that could well be listed in the Guinness Book of Records. It owes its name to the Maltese Order, of which Paul I was a patron. The palace was constructed as a residence for the Prior - one of the chief dignitaries of the Order, a French émigré, Prince de Conde. Conde never came to Gatchina, and the castle was instead used by the Russian Maltese Order for meetings. Many streets in Gatchina are named for Russian and Soviet pilots, which is not surprising, since Gatchina is renowned for housing the first Russian aviation school. In 1909, a region near Gatchina was designated for testing airplanes, and the first military airfield was established there. In autumn of the following year, training began in the Officer Aeronautical School, which at the start of World War I was reorganized as the Gatchina Higher Aviation School. Graduates of the school included the famous pilot Pyotr Nesterov, author of the “death loop” and the first air ram in battle, which resulted in his death. The first Russian female pilot, L.V Zvereva, also graduated from the Gatchina Higher Aviation School. In 2002, Gatchina opened the only museum of aviation engine history in Russia.